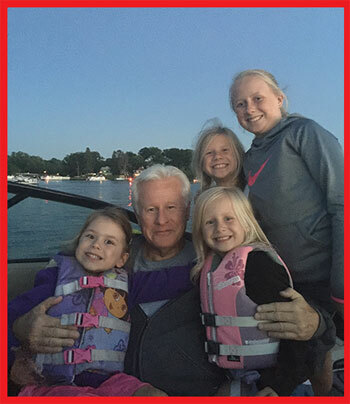 David Allesee started his career in the orthodontic laboratory industry in 1974 moving to Racine, Wisconsin from Indiana after attending Ball State University. Recently married he and his new bride Shirley moved to Waterford to settle in and raise their family, they never looked back and became very involved with the community. Many inquired about David's career and always asked where he picked up his dental degree in becoming an orthodontist ~~ he would always explain that he wasn't a doctor, simply served the industry in owning a laboratory that fabricated retainers and post treatment appliances. But, somehow the word on the street was " have you met the new Orthodontist " who moved to the community?? Thus, the nickname Doc was coined. 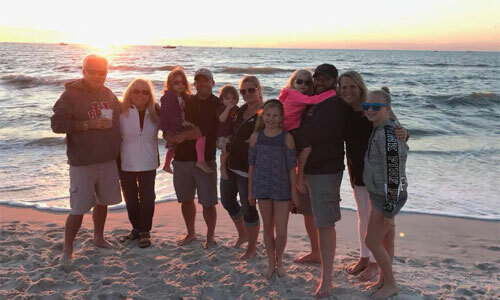 In 2011, Doc retired, and he and his wife teamed up with their son in law Jon Klepp, married to their oldest daughter Sara Jo and designed and built our waterfront bar and grill, opening in May 2013. 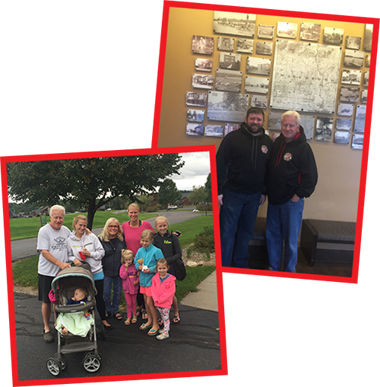 Family owned, and family run extends to our employees and customers alike. 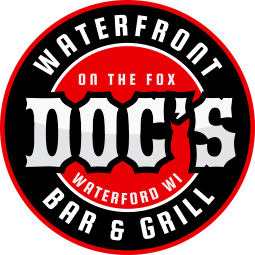 We are very proud of how Docs on the Fox has gained in popularity offering a great atmosphere, quality food and a fun & friendly staff. If you haven't had an opportunity to visit, stop by and judge for yourself, we are happy you’re here!! Jon Klepp, born and raised right here in Waterford, WI graduated from WUHS in 1995. After high school he decided to further his education and career by joining the United States Navy stationed in Norfolk, VA for four years. 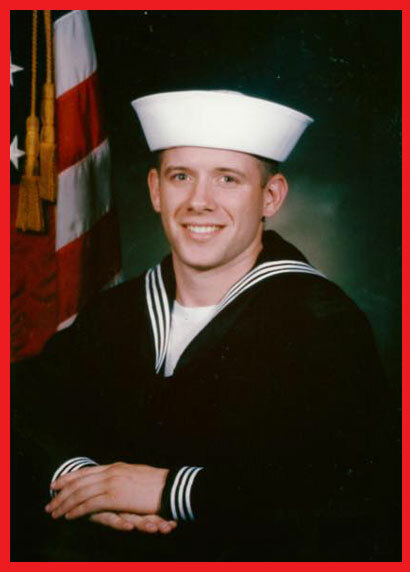 After being Honorably discharged in September 1999, he headed back home to reconnect with his high school sweet heart, Sara Jo (Allesee) and the two were married in 2001. Jon and Sara continue to reside in their hometown with their three daughters, Paiton, Addison and Hana (hint: check out Doc’s Kids Menu). 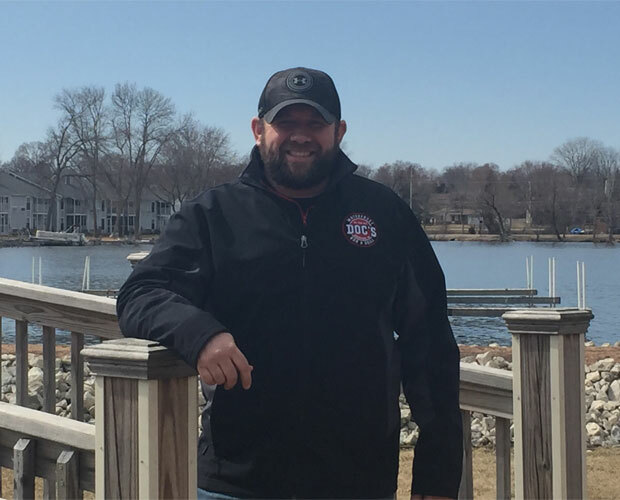 Because life is full of experiences and new roads to travel, Jon spent ten years at a Civil Engineering firm before switching gears and hopping on board with “Doc” and his passion to open Doc’s on the Fox. Growing up in a small town means a lot to Jon and coming back to raise his family here means even more. So being a part of Doc’s on the Fox is one way that Jon feels he is able to give back to a community who has made him who he is today. 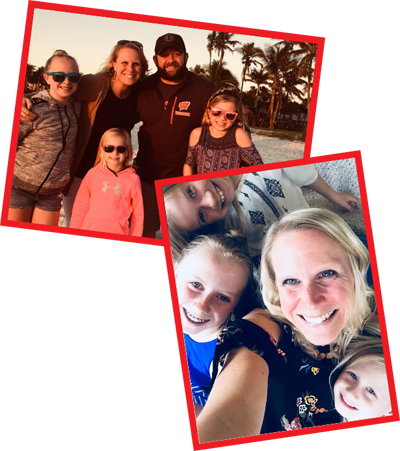 Whether it’s fundraisers to support the Foursis Dance Team, Waterford High School Athletic Department or other charitable organizations, everything is done to show support and continue to make the community what it is: Family!! Next time at Docs, ask for Jon, he would love to meet you.